Is there a way to lock my photos on iPhone? I have some photos that don’t want someone get access to them. Any help would be much appreciated! Thanks! iPhones are equipped with high quality cameras that iOS users love to use in order to take photos and share them with their friends. However, not all photos are meant to be shared or seen by others. So, can we lock photos on iPhone? Fortunately, there are two ways to lock photos on your iPhone: with an app or without app. iOS 8 and later versions have built-in function that allows iOS users to lock their photos. While this function hides photos from Years, Collections, and Moments, the images are still visible in Albums. 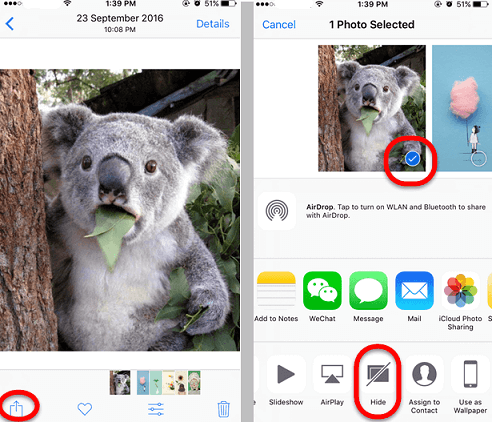 Open Photos app on your iPhone and find the photo that you wish to hide and open it. Use the Share button and then find and choose the Hide option. Tap the Hide Photo option to confirm your action. The photo will be placed in the album named ‘Hidden’. 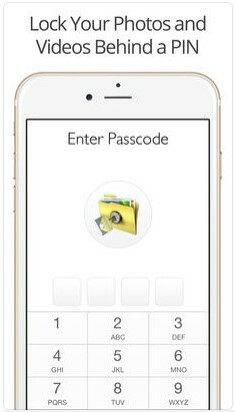 Keepsafe is one of the most popular apps available for iOS devices that allows you to lock photos on iPhone and keep them in a secure vault. Supports both iPhone and iPad. You can use PIN code to access your locked content. Backup your photos as well as create custom albums. Full-screen as well as slideshow viewing for both photos and videos. Keepsafe also has an integrated camera that allows you to capture photos directly from the app. You can share your locked photos from Keepsafe for a limited time via Safe Send feature. 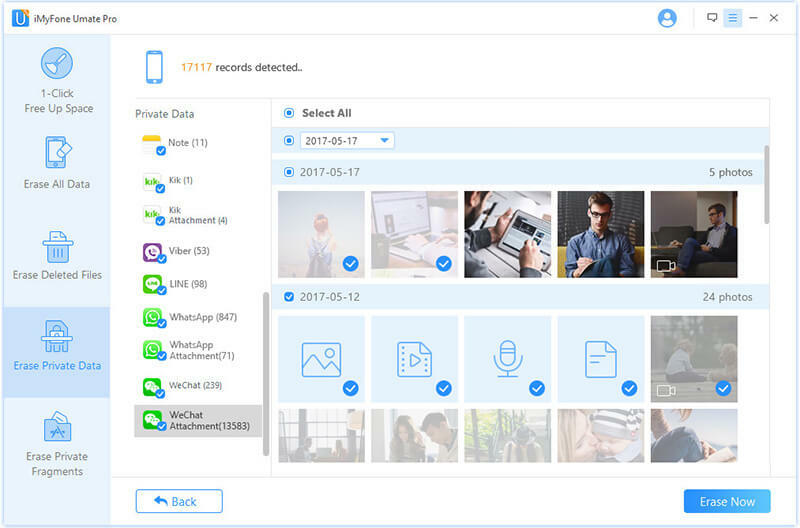 Lock Photos Photo Secret Vault is another app that allows you to lock and manage your private photos, videos, documents, notes, voice recordings, text messages, and other files conveniently. Lock/hide a wide variety of media files including photos, videos, notes, voice recordings, etc. Create folders and subfolders in the app and manage them according to your needs. Manage your locked files via a number of options including search, rename, delete, copy, cut, etc. Sort your locked files by name, date, type, size, etc. You can handle multiple locked files at the same time. The app supports viewing of many file formats including jpeg, tiff, bmp, jpg, mp4, move, mp3, wav, pdf, doc, html, etc. 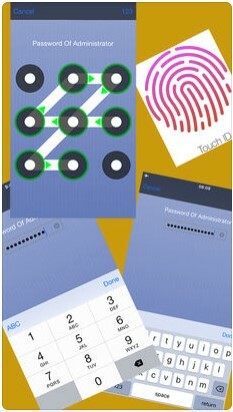 Pic Safe is one of the best vault apps available for iOS devices. It allows you to lock photos on iPhone using pattern or password. You can create multiple albums in the app as well as manage and share your locked photos and videos via email and message. Import/export your private photos and videos conveniently from the Photo App of your iPhone. Create albums within the app to keep your locked photos organized. Share your locked photos via email and text message. 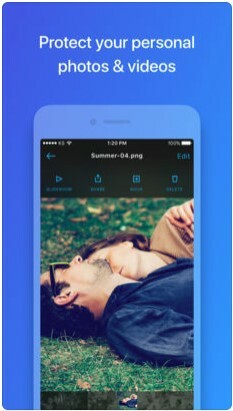 User-friendly and intuitive app interface, just like the official Photo App of iPhone. Slideshow for enhanced photo viewing experience. Play locked videos directly from the app. Lock Photos is another app that works as a reliable shield for your photos and videos. With this app, you can conveniently manage your private images and videos. Furthermore, the app also has a secret camera that allows you to capture photos secretly. Lock your photos and videos in a private vault and protect them with password. You can also use Touch ID to lock your private photos/videos. Import photos directly from Camera Roll. The app also has a built-in private camera. Fake Password feature will allow you to disguise your private gallery space to confuse the snoopers. View photos and videos in the secret vault in landscape mode. If you wish to delete your private photos to protect your privacy, then it is recommended that you use iMyFone Umate Pro iPhone Data Eraser to do this. Data deleted by Umate Pro is permanent and 100% unrecoverable. It allows you to erase traces of the photos and videos that you have deleted from your iPhone in order to make them unrecoverable. 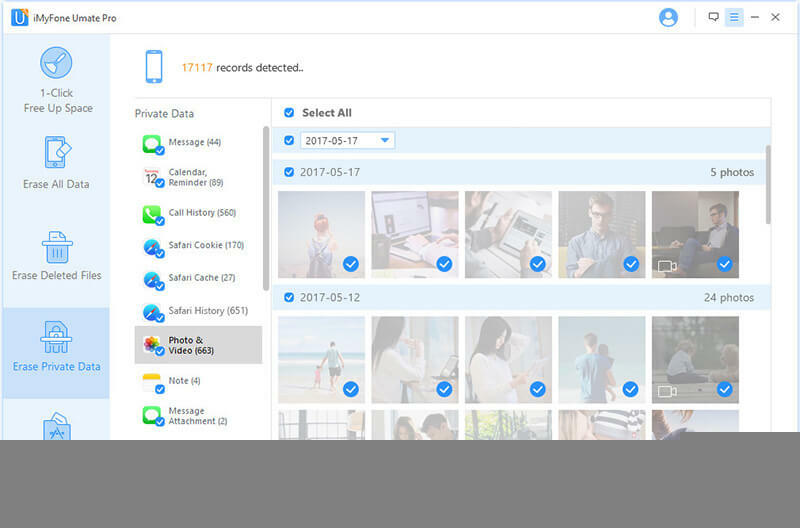 Permanently Erase Photos: Deleted photos might still hiding in your device, they can be easily recovered via a data recovery software. However, using Umate Pro will ensure that all these photos are deleted without a chance of recovery. Preview and Select: With iMyFone Umate Pro, you have the chance to preview all your photos and delete them selectively. Photo Compression: iMyFone Umate Pro can compress the size of each of your photo so that you can save enough space without having to delete too many photos. Export Photos to Computer: The software can also be used to export photos from iPhone to the Computer. 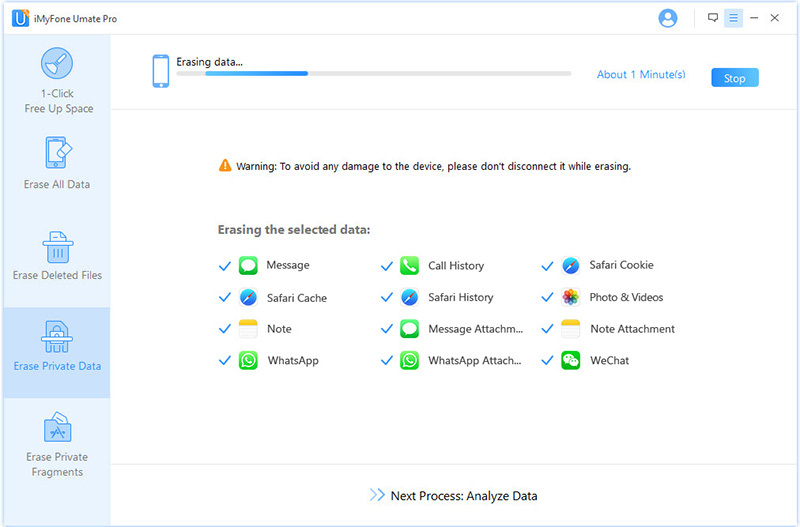 All Types of Data Can Be Erased: It can permanently erase all kinds of data from your device, including messages, videos, photos, contacts, safari history, whatsapp data, kik, etc. iMyFone Umate Pro is fully compatible with iOS 11 and receive lots of positive reviews from macworld.co.uk, Cultofmac.com, Makeuseof.com, APPKEDetc. Step 1. Download, install iMyFone Umate Pro on your Mac or Windows computer. Step 2. Launch iMyFone Umate Pro and connect your iPhone to your computer. 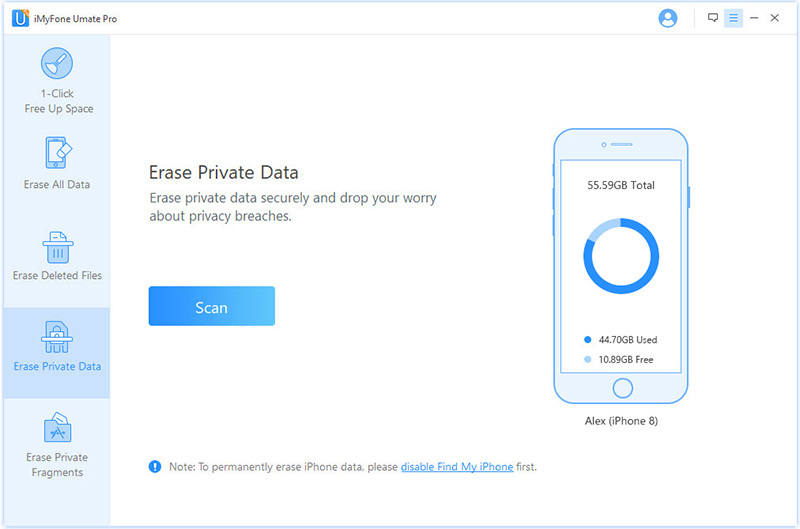 Erase Private Data: this mode will find all the photos on your device and erase them permanently. Erase Deleted Files: this mode will find the photos deleted by ordinary method (deleted in Photos app), and then completely erase them from your device. Select one of the mode and click on Scan button. Then it will scan all the photos on your device. Step 4. Once the scan process finished, click on the photos and any other files you want to permanently delete, then click on Erase Now button. Step 5. Then your selected photos and other data will be permanently removed from your device. None of the recovery software can recover them.